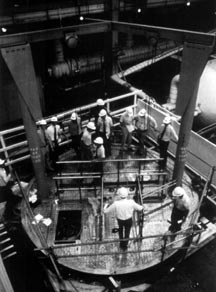 Workers began to remove the damaged core of the Nuclear 2 reactor. 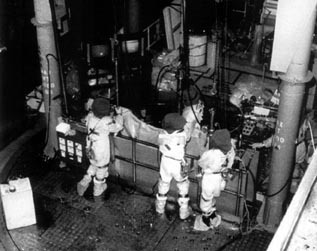 Clean up required the design of new equipment as well as careful handling of all waste materials; the workers wore protective gear. Metropolitan Edison was reprimanded by the courts for jeopardizing cleanup workers’ health. 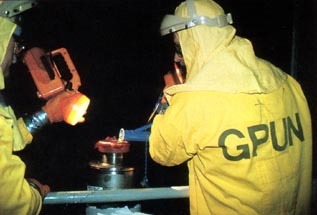 Workers in some parts of TMI must wear protective clothing to guard against contamination from radioactive materials.